The game does not save settings nor key bindings and resets them every time upon launching the game. Poor optimization with random slowdowns; rebooting your computer may fix it. Controller layout is only designed for Logitech Dual Action or similar controllers and buttons cannot be remapped. DRM-free version no longer available. A demo is available on Steam and official website. Despite creating files called options, score, and bpgamedata.sav under <path-to-game>, these files do nothing and serve no purpose. Locked in a resolution of 1000x600. However, due to the arbitrary resolution, the screen is rendered into a 4:3 aspect-ratio in fullscreen unless you change the fullscreen scaling settings to Fullscreen under your GPU's control panel. Only enabled through the fullscreen start-up screen or options menu. Not possible to due low resolution. Previously featured before the v1.3 update and caused greater performance issues despite running in windowed mode only prior to the update. The taunt button (bound to A before the v1.3 update or P after the update) cannot be remapped. Automatically switches inputs to plugged controller. 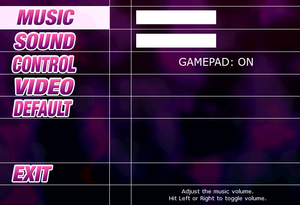 Pausing the game or skipping cutscenes requires pressing ↵ Enter. 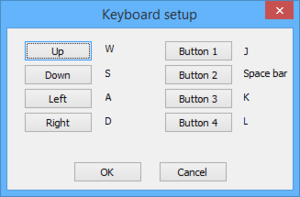 Uses a button layout based on a Logitech Dual Action or similar controller and cannot be remapped. Using any other controller will result in buttons being in the wrong placement. Game references buttons by number. The game may sometimes run in a low frame-rate, and even if your hardware meets the recommended requirements, the game may not run in the proper speed. Rebooting the computer may address this issue but it is not guaranteed to remedy the performance issues entirely. ↑ 2.0 2.1 File/folder structure within this directory reflects the path(s) listed for Windows and/or Steam game data (use Wine regedit to access Windows registry paths). Games with Steam Cloud support may store data in ~/.steam/steam/userdata/<user-id>/341440/ in addition to or instead of this directory. The app ID (341440) may differ in some cases. Treat backslashes as forward slashes. See the glossary page for details. This page was last edited on 4 September 2018, at 09:42.